Depending on the species of probiotic microorganism, they can help protect us from just about everything -- from digestive disorders and infections to infertility and cancer -- with a minimal risk of side effects. The various probiotics benefits are much-publicized these days. Because of this, probiotic products are taking the health and medical communities by storm. In fact, 3.9 million US adults have reported using probiotics. It’s only fitting we explore the science behind it and sort fact from fiction. But we live in an amazing world where this concept is actually our reality. Over the past couple of decades, researchers have discovered that the trillions of bacteria, viruses, and fungi covering every inch of the human body (collectively referred to as your “microbiota”) aren’t harmless little stowaways catching a free-ride like we thought they were. Actually, they seriously affect how our bodies work. As in, our bodies cannot work properly without their help. We genuinely cannot be healthy unless these microscopic creatures living in and on us help us! As strange as it is to wrap your brain around, this discovery is also really exciting. Suddenly, there are literally trillions (play the joke sound effect please!) of new ways to help improve your health. One of the most straightforward of these new ways is the use of probiotics. How Do Probiotics Help Your Body Stay Healthy? Does It Matter Which Probiotic You Take? What are the Best Natural Sources of Probiotics? What are the Best Probiotic Supplements for Men and Women? How and When Should You Take Probiotics? Probiotics are lotions, creams, pills, powders, capsules, or foods that contain microorganisms you find naturally in the human microbiota. Most contain just a single species of bacteria, but a few contain multiple bacteria or types of fungi. These products bring healthy bacteria or fungi right to the places in your body where they should naturally live (be it skin, gut, or genital tract). Once there, these benevolent little creatures act as if they had been born there. They get to work doing what they do best: keeping your body healthy. Unfortunately, it doesn’t appear there is a single, overarching answer for how probiotics help you stay healthy. Probiotics protect against many types of conditions and each of them seems to involve a slightly different mechanism (or mechanisms). 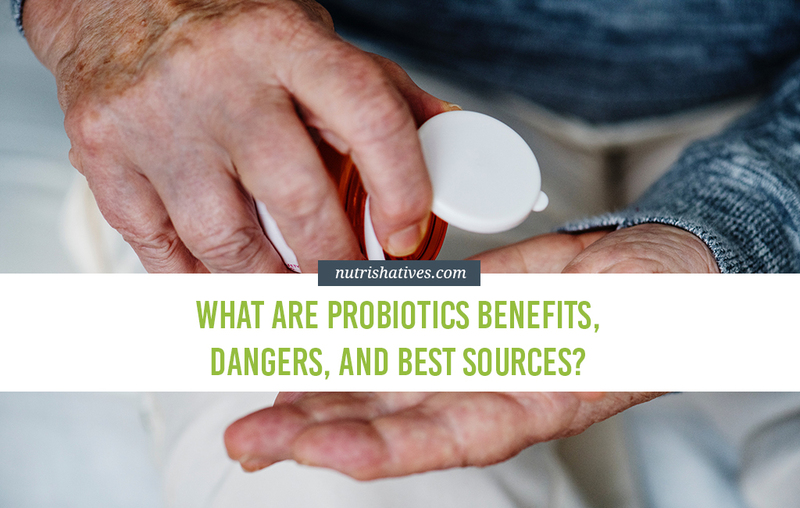 So, to really understand the health benefits of probiotics, we’ll have to look at their effects on each of these types of conditions individually. There are 12 of them, believe it or not, so top off your coffee and squish around to find a comfy spot before we get going here. Taking oral probiotics has been shown to reduce symptoms of multiple gut disorders, including inflammatory bowel disease, irritable bowel syndrome, constipation and diarrhea. Introducing extra healthy probiotic microorganisms into the digestive tract takes room and food away from nasty bacteria, like E. coli or H. pylori, that could try to make a home in your gut. Since gut infections can cause unpleasant GI symptoms and promote conditions like Inflammatory Bowel Disease (IBD) or Irritable Bowel Syndrome (IBS), taking probiotics to kick dangerous bacteria out of your gut can help keep those conditions at bay. When the bacteria in probiotics start munching away on food in your gut, they make a group of compounds called short-chain fatty acids (SCFAs). SCFAs help keep the walls of your intestines from becoming “leaky”, an event believed to be a key step in the development of IBD, IBS, constipation, and diarrhea. Another well-studied effect of probiotics is their ability to prevent infections. I already mentioned the ability of oral probiotics to prevent infections directly in the gut, but this protective effect is not restricted to the GI tract. Probiotics boost immunity throughout your body. For example, the use of topical probiotics (skin lotions) can help prevent skin infections. And vaginal probiotics can prevent bacterial vaginosis, yeast infections, and urinary tract infections. All of these effects are thought to be the result of competition between healthy probiotic microorganisms and the infectious little buggers trying to attack your body. Interestingly, though, there is a second way probiotics can help protect against infections, as well, that has nothing to do with competition. 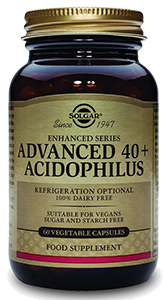 Remember the SCFAs I mentioned above that are made by probiotic bacteria in your gut? Researchers now know that, in addition to helping the cells in your gut wall do their jobs, SCFAs also help the cells of your immune system do theirs. SCFAs trigger immature immune cells living in your gut wall to mature, giving your immune system more infection-fighting cells to work with. These extra immune cells help your immune system fight infections everywhere in your body, even places as far away as your lungs. Oral probiotics’ effects on immune function extend beyond helping you fight infections. They are also able to make sure your immune system does not harm your own body, preventing allergies and autoimmune diseases. These effects are thought to result from the effects of SCFAs and another molecule, called histamine, on immune cell function. SCFAs have been shown to help a specific group of immune cells, called “T-regulatory cells”, mature. Like their name implies, T-regulatory cells regulate your immune system. They are responsible for keeping your immune system from attacking anything except an actual infection. And histamine, another compound made by probiotic bacteria, has been shown to help keep a group of immune cells, called Th17 cells, from attacking your own body’s tissues, preventing autoimmune diseases. A solid dozen studies have shown that taking an oral probiotic helps adults lose weight, an effect that can aid in the prevention or reversal of obesity. Like most other conditions on our list here, it appears that there are a couple of mechanisms at play. The bacteria in probiotics can displace “obesity-promoting” bacteria from the gut. These fat-boosting bacteria actually make extra calories out of your food by breaking down bits of food you would otherwise have flushed away. This can result in you getting thousands, even tens of thousands, of extra calories each week, which, of course, makes it really hard not to gain weight! 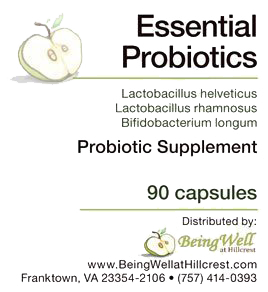 Probiotics help regulate your immune system. Some of the chemicals made by an unhealthy immune system (particularly those Th17 cells) mess with your metabolism. They make it more difficult for your cells to burn fat, so you end up storing it instead. By keeping Th17 cells in check, probiotics can make it easier for your metabolism to burn calories. Since probiotics help protect against obesity, it’s probably not a huge surprise to you that they can also protect against metabolic disorders, such as diabetes, high cholesterol, high blood pressure and heart disease. Though there is less direct evidence here than for some of the other conditions, probiotics are suspected to be able to help protect your oral health. Bacteria in probiotic products are naturally found in the mouth, including on the surface of the teeth. They produce chemicals believed to help keep the bacteria that eat away tooth enamel from setting up camp, protecting you from cavities. While the evidence supporting a role for probiotics in protecting your teeth is still kind of hole-y (see what I did there! ), the evidence that they support the health of other bones in your body is pretty strong. There are solid studies showing that taking an oral probiotic can help prevent osteoporosis. Deactivate mutagens – Mutagens are chemicals that damage DNA in your cells, causing them to turn into cancer cells. Probiotic bacteria in your gut can bind to these chemicals (that you, usually, swallowed with your food) and break them down before they can come into contact with your intestinal cells. Lower the pH of your colon – When the bacteria in probiotics break down food for energy, they produce organic acids (those SCFAs) as a byproduct. These acids, naturally, make the fluid inside the colon more acidic. This is helpful for preventing colon cancer because conjugated bile acids, a powerful type of mutagen made from digestive fluids, cannot form in acidic environments. Keep your colon cells fed and healthy – Colon cells can actually use SCFAs for energy, just like they use sugar. By making SCFAs, probiotic bacteria help ensure your colon cells are well-fueled and healthy so they can repair themselves if they do come into contact with a mutagen. Slow down how quickly your colon cells divide – As if SCFAs weren’t amazing enough for preventing colon cancer already, research indicates they can actually slow down how fast cancer cells grow (i.e. how quickly you get an actual tumor from a single cancer cell and how fast it spreads). This is thought to be because SCFAs turn on enzymes in colon cells that control which of their genes are turned on and off. These enzymes can turn off genes that can make cells grow and divide too quickly. Oral probiotics can positively influence brain and nerve function, reducing the symptoms of anxiety, depression and migraines. 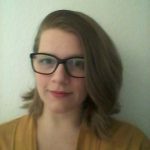 They are also strongly suspected to be a helpful for managing autism symptoms. Examining the available data, researchers have concluded the effects of probiotics on your mental health is likely the result of probiotics’ ability to change the balance of chemical messengers in the brain called neurotransmitters. 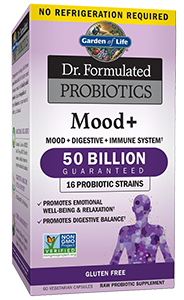 Probiotic bacteria increase levels of dopamine and serotonin in your body, helping your nerves communicate with one another properly, preventing neural and mood disorders. A few studies have shown that taking an oral probiotic boosts muscle function. Researchers believe this is because of those cool genetic effects of SCFAs I mentioned above in the context of colon cancer. All the things muscle cells need to work perfectly! Men who consume probiotics may be protected from infertility and prostate cancer. This is because probiotic bacteria help lower estrogen levels in the body, preventing a condition called “estrogen dominance”, which drives both infertility and prostate cancer in men. How do probiotic bacteria prevent estrogen dominance? It’s a little complicated, but basically, probiotic bacteria keep estrogens in the intestine (which got there either from food you ate or from your body trying to dump them out into the toilet) from being absorbed by your body. By preventing your body from absorbing these estrogens, probiotics keep estrogen levels in the body at a low, healthy level. Reduce the symptoms of polycystic ovary syndrome (likely due, at least in part, to their estrogen-regulating abilities). Decrease the risk of urinary tract infections (due to their antimicrobial effects); this effect was even seen during pregnancy, when urinary tract infections can be particularly dangerous, increasing the risk of low birth weight in the baby, premature labor, and preeclampsia. Reduce the risk of gestational diabetes and preeclampsia (due to their ability to regulate the metabolism). Researchers also suspect probiotics may be able to help protect against breast cancer. There are a couple of reasons for this. Just like prostate cancer, many breast tumors are driven by excess estrogen in the body. Since probiotics can lower estrogen levels, they may be able to help keep breast cancer under control. Many breast cancers appear to be triggered, in part, by a buildup of conjugated-bile acids, those powerful mutagens I mentioned above that promote colon cancer, in breast tissue. It turns out that these cancer-promoting compounds can be absorbed into your body from the gut and, for whatever reason, like to concentrate in breast tissue. By reducing the levels of conjugated-bile acids made in the gut, probiotics should be able to protect breast tissue from these mutagens. Unfortunately, there haven’t been enough studies done yet to tell for sure if this theoretical protection against breast cancer pans out in real life. Nope, nope, nope and nope! In fact, in general, there is no catch. Researchers and doctors agree that, for most healthy people, there is minimal risk of any side effects whatsoever. They aren’t even usually associated with a risk of short-term constipation or diarrhea when people first start taking them, which one really might have expected. There are a couple of groups of people, though, for whom probiotics might be a bit risky. If you have an extremely weakened immune system (active Acquired Immunodeficiency Syndrome symptoms, recent chemotherapy treatment, recent surgery), there is a risk that probiotics can cause an infection. Even though probiotic microorganisms are good for you, they could still harm your health if they grow out of control, which they could theoretically do if your immune system is very weak. If you have an active autoimmune attack going on in your gut wall, you may also be at risk of developing an infection with probiotic microorganisms. This could occur if your gut wall is so inflamed and damaged from your immune system’s attack that large holes leading straight into your bloodstream have opened up. (This is more likely to be the case if you’re experiencing blood in your stool). Such large holes could let probiotic microorganisms into your blood, which is very unsafe. If you have kidney disease, there is a theoretical that risk probiotic products could damage your kidneys further. Some studies have shown that probiotic use caused changes in the ability of the kidney to filter urine and increased levels of kidney-damaging chemicals (like uric acid) in the blood. Researchers aren’t sure why this might be, nor are they sure the increases are significant enough to be dangerous, even for those with severe kidney disease. If you have kidney disease, though, you should exercise caution until researchers know for sure. If you have one of these conditions but think you would benefit from probiotics, talk to your doctor about it! Your doctor can help you decide if the rewards outweigh the risks for you, personally. All those health benefits and (for most people) essentially no risk of side-effects?! It’s amazing! And if you’re all jazzed up now, raring to hit the store and find a probiotic, any probiotic, I totally understand! But hang in there with me for just a little bit longer because not all probiotics are created equal. 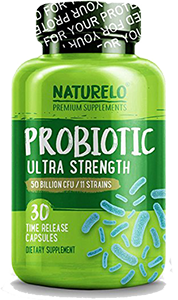 There are only a few species of probiotics that have been proven to actually be helpful in humans. And among the microorganisms researchers know are probiotics, not all of them offer all of the health benefits we just covered. In fact, there is typically just a handful of probiotic species that provide any given health benefit. Check out Table 1 to see which probiotic species you should be on the lookout for depending on which health benefits you’re most keen on reaping! Now, if you were to hit the store, what do you need to buy to actually get that probiotic. Well, you could either buy naturally probiotic-rich foods or find yourself a probiotic supplement! If you’re looking for probiotic-rich foods, you’re going to want to hit the “fermented foods” section. Fermented foods are whole foods (fruits, vegetables, beans, seeds, dairy products, etc.) that have had microorganisms added to them. These microorganisms aren’t added to the food as a probiotic (like they are in probiotic-supplemented foods), rather they are added to keep the food from spoiling, or to change the flavor or texture. One of the great upsides of fermented foods is that they are whole foods. They come packaged with vitamins, minerals, fiber and phytonutrients — all kinds of things that are good for your health, in general. Plus, they are really tasty! Unfortunately, fermented foods are rarely labeled with the exact concentrations of probiotic microorganisms in them. Often, they may not even list the species of microorganisms that were added. That can make things tricky if you’re looking for therapeutic doses of very specific species. If you’re keen on knowing the exact dose and species (or if you really not of fan of any of those fermented foods), probiotic supplements may be a better choice for you. Probiotic supplements come as pills, capsules or powders that contain one or more very specific strain of probiotic microorganisms. There are a ton of different probiotic supplements, though. How do you know which one to pick? Well, ultimately, you will have to determine which supplement is best for you, based on your goals and personal preferences. But, if you’re looking for some inspiration, we used our handy little table above and some serious sleuthing to dig up some solid options to help get you started! Men, especially men who are considering having children, would do well to opt for probiotic supplements that contain Lactobacillus paracasei in order to reap fertility-protective effects from their probiotic. 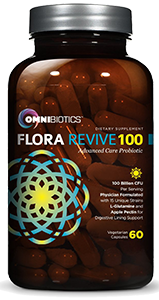 Some solidly-rated supplements brands that fit the bill include Solgar Advanced, Naturelo, and Flora Revive. Premenopausal and/or pregnant women will likely want to ensure their probiotic supplement contains Lactobacillus delbrueckii and Lactobacillus fermentum. 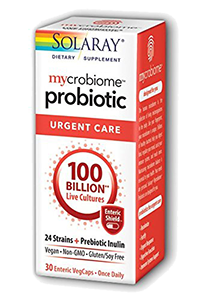 The only brand we could find that contains both of these strains is Solaray’s Mycrobiome Probiotic Urgent Care. Actually, this supplement contains every single one of the probiotic species shown to boost female reproductive health! Postmenopausal women, who are at high risk of developing osteoporosis, should keep an eye out for supplements containing Lactobacillus helveticus. 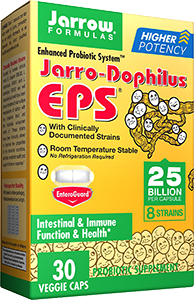 A couple brands we found that contain this strain include Garden of Life Mood +, Essential Probiotics, Jarrow Formulas Jarro-Dophilus EPS, and Probonix-Liquid Probiotic. Finally, you’ve got the probiotic you want to add to your routine! Now, how do you take it? The type of probiotic you are adding. Whether you are trying to treat a medical condition, or just prevent one from developing. The other types of medications and supplements you are taking. Since all of these factors are specific to you, we can’t tell you exactly when or how to take your probiotic. There are a few general guidelines, though, that apply to most fermented foods and probiotic supplements that might be handy for you to keep in mind while deciding how to incorporate probiotics into your routine. Probiotics are thought to work better if they are taken on an empty stomach, but right before a meal. Before breakfast is a practical option for a lot of people. Probiotics can go bad. If the bacteria in your probiotic die, they can’t do their jobs in your body anymore! Munching on fermented food or taking a probiotic supplement past their expiration date (or if there are visible signs they’ve gone bad) likely isn’t going to do anything for you. It is always best to follow the recommended serving size and/or daily doses on probiotic foods and supplements unless your doctor tells you otherwise. Talk to a doctor or nutritionist before deviating from the instructions on the packaging. Probiotics are one of the oddest, most unexpected health interventions. Even 20 years ago, no one would have thought we would be using other organisms to make ourselves healthier! But healthier they do make us. Depending on the species of probiotic microorganism, they can help protect us from just about everything — from digestive disorders and infections to infertility and cancer — with minimal risk of side effects. NEXT: Find out The Best Probiotic Supplements for Leaky Gut!